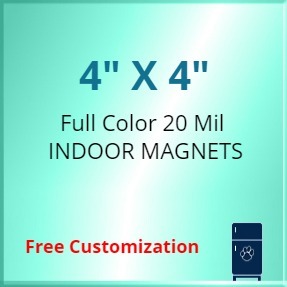 4x4 custom magnets 20 mil square corners are effective brand promotional tools. They easily stick to metal surfaces without causing any damage like a sticker or label might. Not only do these magnets get the message across, they look good while doing it! 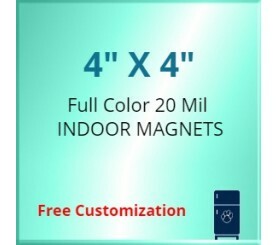 With a 4x4 printable area these magnets have ample advertisement space while maintaining a stylish and polished design. You can have these magnets printed with any custom design and/or message.